Dr. Richard W. Barth is an orthopaedic surgeon specializing in surgery of the hand and upper extremity, with particular expertise in upper extremity sports injuries. He is an associate clinical professor of Orthopaedics at George Washington University. Dr. Barth served as a hand and wrist consultant for the Washington Capitals and Washington Wizards. He is a former President, Vice President, and Secretary/Treasurer of the Washington Orthopaedic Society. He has served on the Board of Councilors of the American Academy of Orthopaedic Surgery representing Washington, DC. He is currently Chief of Orthopaedic Surgery, Hand Surgery, and the Vice Chairman of the Department of Surgery at Sibley Memorial Hospital. 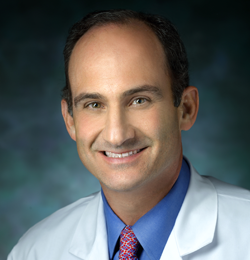 Dr. Barth was a member of the American Academy of Orthopaedic Surgery Carpal Tunnel Syndrome committee, which published the evidence- based guidelines for the diagnosis and treatment of carpal tunnel syndrome. Dr. Barth is board-certified by the American Board of Orthopaedic Surgery in both Orthopaedic and Hand Surgery. Dr. Barth completed a hand and upper extremity fellowship at the world renowned Indiana Hand Center in 1994 following an orthopaedic surgery residency at the University of Pennsylvania.